We last got an update on Kittie's career-spanning documentary back in 2016, which included a title reveal and a look at the film's structure. Now, Kittie: Origins/Evolutions has received a release date. The band revealed that the doc will arrive on March 30 through Lightyear Entertainment. The film itself will be accompanied by a bonus live CD, containing never released recordings dating back to the early 2000s. The artwork and trailer for the release can be found below. Origins/Evolutions will arrive as a three-disc set, with the documentary arriving on Blu-ray and DVD alongside the live CD. The band also revealed the audio portion will find its way to vinyl for a 12-inch in the coming months. Kittie: Origins/Evolutions was directed by Rob McCallum. 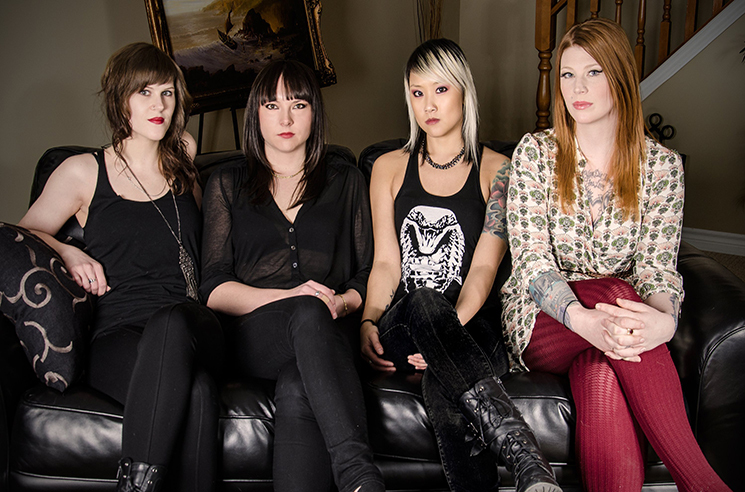 In related news, Kittie bassist Trish Doan sadly passed away last year.